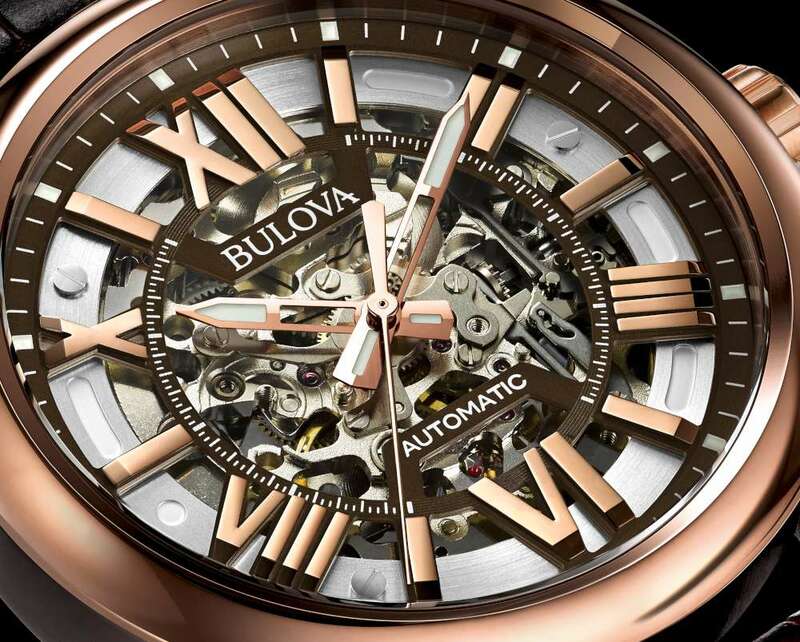 Bulova are famous today for their high-beat quartz movements, and historically for their Accutrons used by NASA, but the new watches presented in 2016 include the Bulova Automatic, with deconstructed dial and transparent caseback. 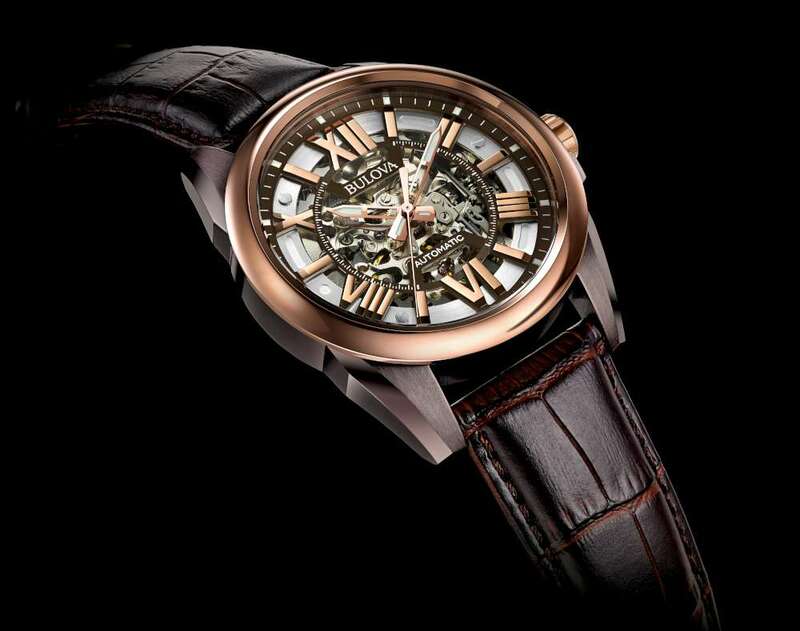 It has a steel case with rose gold ionic plating, 43 mm in diameter, 12 mm thick, water resistance 100 metres. The leather strap has an alligator print motif. 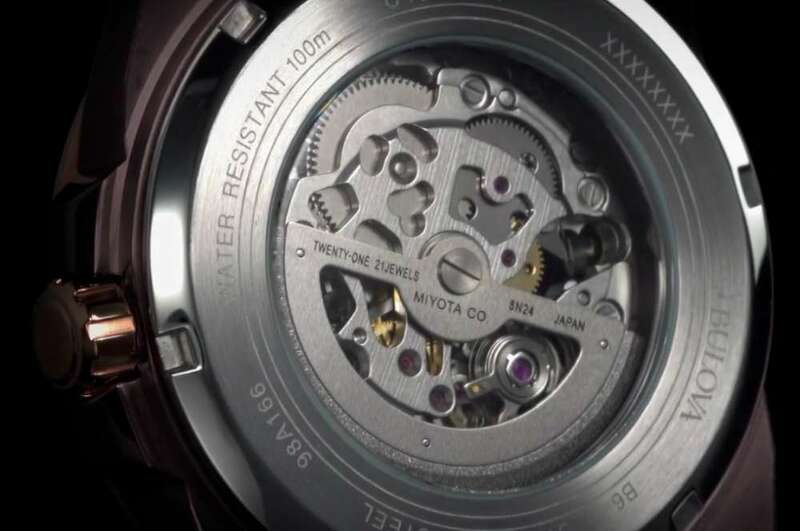 The watch is powered by the self-winding Miyota 8N24 movement, which runs at 21,600 vibrations per hour, and has a power reserve of about 40 hours. Its accuracy is -20/+40 seconds deviation per day, with a posture difference of up to 50 seconds per day. The Roman numerals are quite attractive, almost like miniature gold ingots, but the seconds scale, with third-of-second divisions, is curiously interrupted at top and bottom. The movement is built ready-skeletonized by Miyota, but it looks rather unappealing, a collection of curving plates that seem to hide more than they reveal. 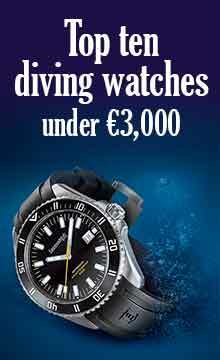 All in all, the watch reflects its low price point, €380, $450.